A cuticle infection, also known as a paronychia, is a nail condition that may be gradual or chronic. Regardless of the severity of the diagnosis, prompt and aggressive treatment is necessary to prevent a cuticle infection from advancing into a severe medical condition. A cuticle infection is an infection within the tissues surrounding the nail bed. Infections to the nail bed can occur in many ways. 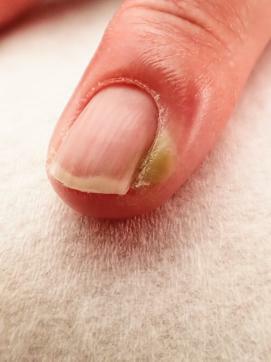 Viruses, bacterium and fungus may begin to infect the soft skin surrounding the nail gradually (as is the case with fungus) or within several days of exposure to an active virus or bacteria. In addition to virus, fungus and bacterium, untreated injuries or wounds close to the fingernails can also be the cause of a cuticle infection. Although cuticle infections are serious in nature, they have telltale symptoms that make them easy to diagnose promptly. If you have any of the following symptoms, it's recommended you seek professional medical care for proper treatment before the infection spreads. Untreated infections can be life threatening if they are left to spread, as they can gradually begin to invade the blood stream, poisoning the entire body. 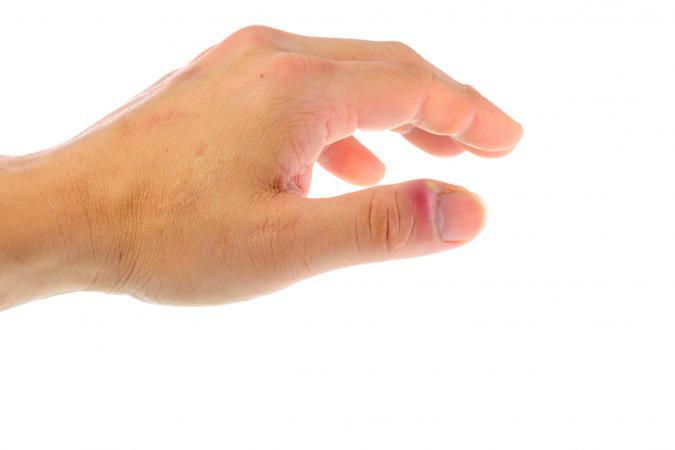 A nail condition can be a burdensome ailment which may occur for several different reasons. The good news is, you can prevent most infections just by practicing daily hygiene and keeping the nail bed clean and dry.